Drop Circles can act also as a temporary Dump for Items for this you dragged in one Application and drop it onto another Application, this works great also in Fullscreen Applications. E.g. : You are browsing a Website in one Browser, but want to use another one right now, simply drag the URL onto a Circle assigned with your target Browser and you are done, drag an Image from a Website into Drop Circles Drop Area and drop it again onto your Document you are working on when you need it. Drop Circles listens for your Cursor either on the left or right Side of your Screen and has up to 8 Circles you can freely customise to your needs. - Image Resizer : Drop any Image to fast resiz it. - SleepR : A very basic Sleep Timer for your Mac. - Network Tracker : Displays Network Usage like Down- / Upload Speeds. So how does this work? 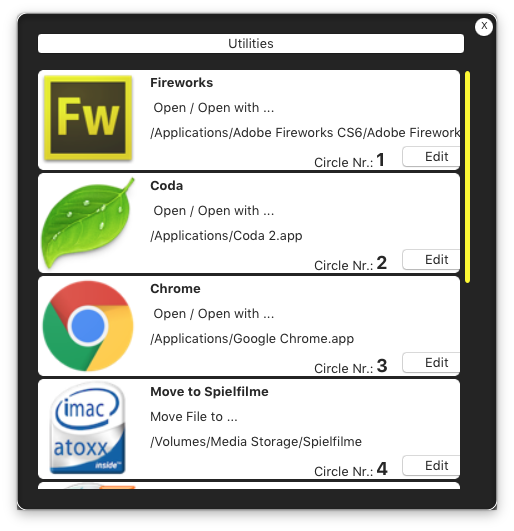 you can either click a circle to open the selected Application or drag and drop an Image to open it in an Image Editor e.g. Once you want to change the order of a Circle, you can simply rearrange the Circles by Dragging them to the desired Position. At the top you have the Option to choose the Utilities Circles, they appear as an own Icon Set and cannot be mixed with default Circles. 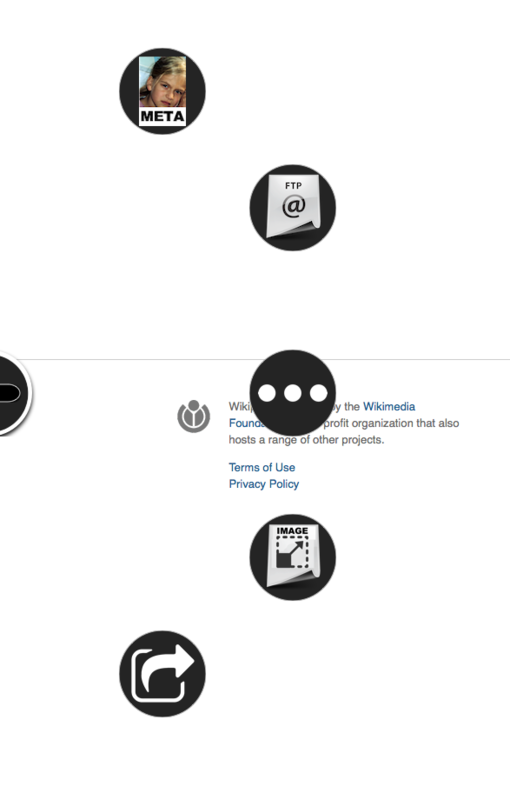 The Drop Area is a canter place of Drop Circles to simply drop Content into for later reuse. It doesn’t matter if its a Text Snippet, an Image or a File, simply drag something to the Scren adge to expand your Circles and drop it onto the Circle. in the middle, if the drop can be accepted, the Drop Area highlights it with a yellow ring, drop it and you are done. 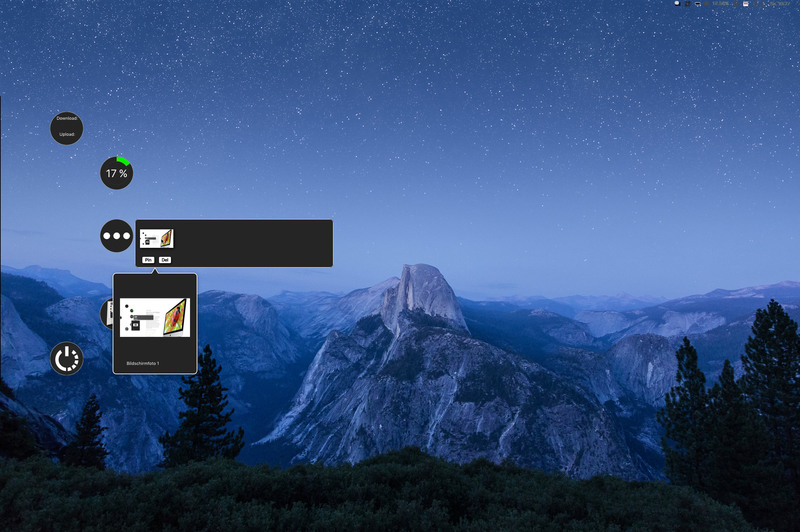 Later in other applications or even fullscreen Applications, expand your Circles, click on the Drop Area in the middle to reveal your Shelf, from here you can preview it with double-click, delete immediately, pin to remember it or simply drag it out to paste it onto a Document, an Image editing App or simply your Desktop to save it as a File. The Drop Area is you simply drag/drop Storage Shelf for anything you want to use maybe later somewhere else. 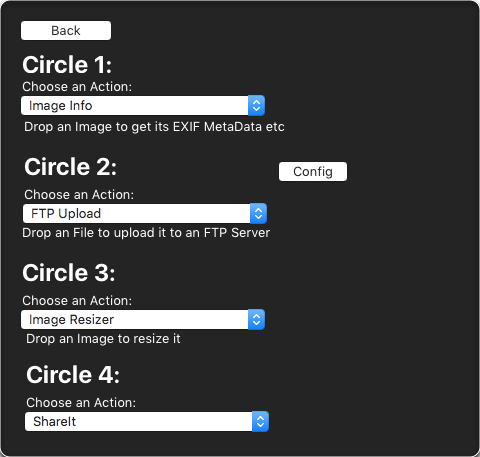 Utility Circles act either as a drop Area or as an Info Circle that display some Infos inside it. 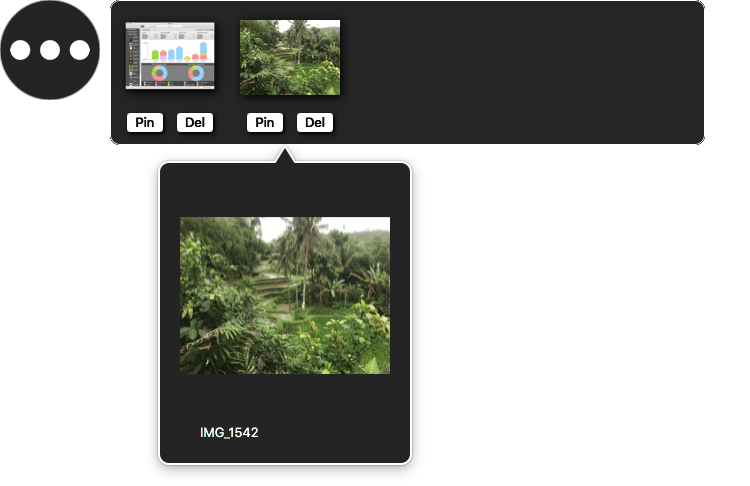 - Image Resizer : Drop any Image to fast resize it.